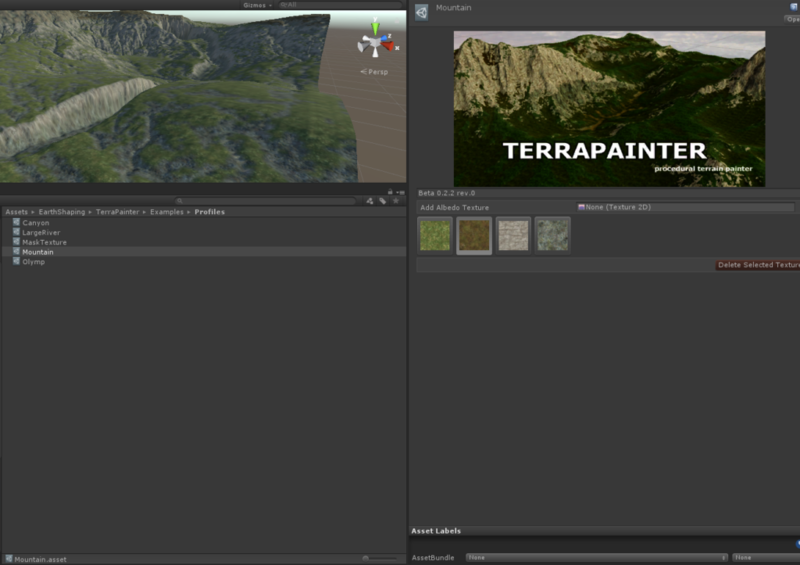 TerraPainter supports Unity Standard Terrain so is fully compatible with all assets based on that. 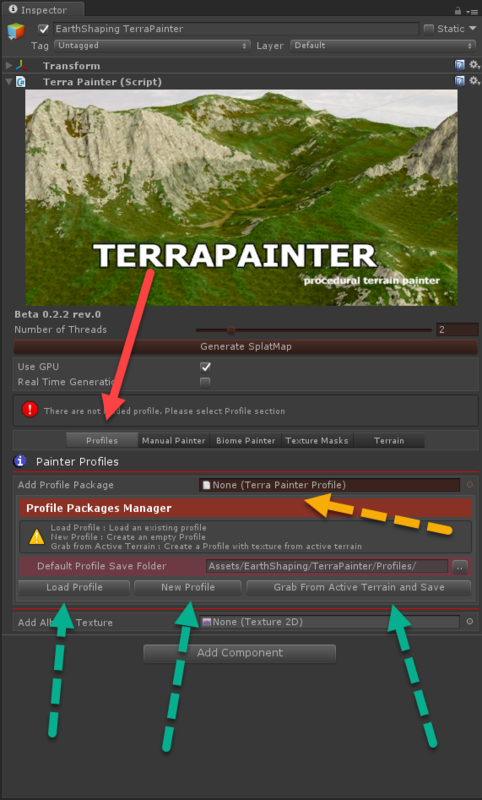 Regarding TerraPainterProfile. basic operations are the creation of a new empty profile, load an existing profile and create a profile grabbing the textures from your scene landscape. New profiles are saved in a predefined location. If required, you can change that default location. The new setting will be shared across the entire project as we store few basic setting information.